Objective: This study aims to determine the correlation of mental health and caries status of students in Mulia Bhakti Makassar Primary School. Material and Methods: Analytical observational research with cross-sectional study design. 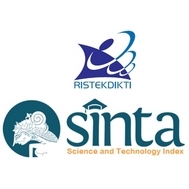 The subject of this research was all the students of Primary School Mulia Bhakti Makassar. Results: The results showed a correlation between mental health and caries status with Pearson correlation test, p = 0.004 (p <0.05) and correlation coefficient, r = 0.266. There is a high index of DMF-T in students whose mental health is not normal. Conclusion: There was a correlation between mental health status and dental caries status of students at Mulia Bhakti Makassar Primary School. Kecamatan Tomohon Utara. J e-Gigi 2013;1: 1-7.
and therapies. Compend 2002;23: 9-13.
holistic approach. Ann Gen Hosp Psychiatry 2010;9: S35. islam. J RISALAH 2015;26: 197-205.
karies tinggi. Dent J 2005;38: 130-134.
dental caries. Rev Saude Public 2005;39. Ment Health J 2004;40: 265-274.
anxiety disorder. Front Psychol 2015;6: 1-12.